Orthodontist Center Township PA, Imperial PA, Moon Twp PA | Boni Orthodontics | Best Orthodontic Specialist | Del R. Boni, D.M.D. Welcome to Boni Orthodontics, a longtime staple in your orthodontic care community, located in Center Township, Imperial and Moon Township Pennsylvania. Dr. Del Boni and his highly skilled and professional team are committed to providing each of their patients with the highest standard of orthodontic care available. We offer a full range of services, including Invisalign®, clear ceramic braces and esthetic functional appliances, which assist in the proper growth and development of our young patients. So, whether you are a child, teen or adult, Dr. Boni is highly skilled in utilizing the latest treatment techniques and technologies to ensure you receive optimal results. We are committed to delivering an excellent patient experience in a professional and relaxing environment. We believe that quality orthodontic care begins with open communication. Dr. Boni will speak candidly with you about your concerns, diagnosis, treatment plan, and alternatives that may be available. Following a thorough examination, Dr. Boni will discuss your treatment options. Working together, we can form a true partnership, with one common goal; helping you to achieve and maintain a healthy, beautiful smile. We realize each patient’s case is unique, and will customize your treatment to ensure we meet all your orthodontic needs. Thank you for visiting our website. 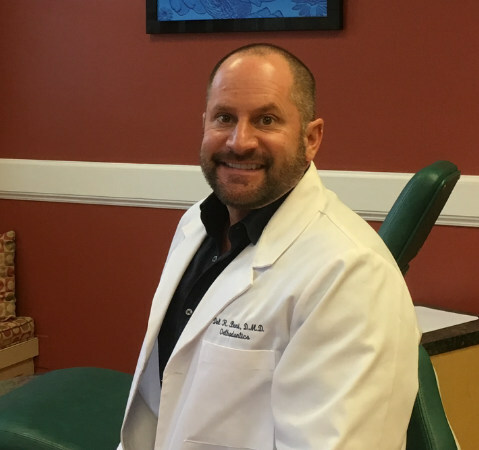 Dr. Boni and his staff look forward to meeting you, and creating the smile you’ve always wanted!